ACCENTS: Jet beads carved with the eternal knot and smooth rock quartz crystal cylinders. COMMENTS: A special way to say Happy Birthday, especially to a senior. 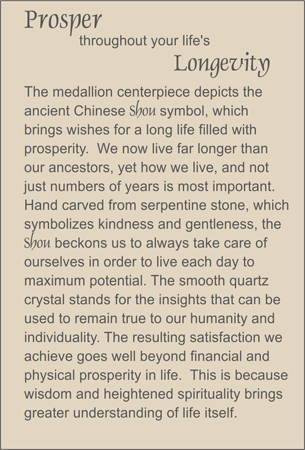 Scroll down to see Longevity in New Jade.